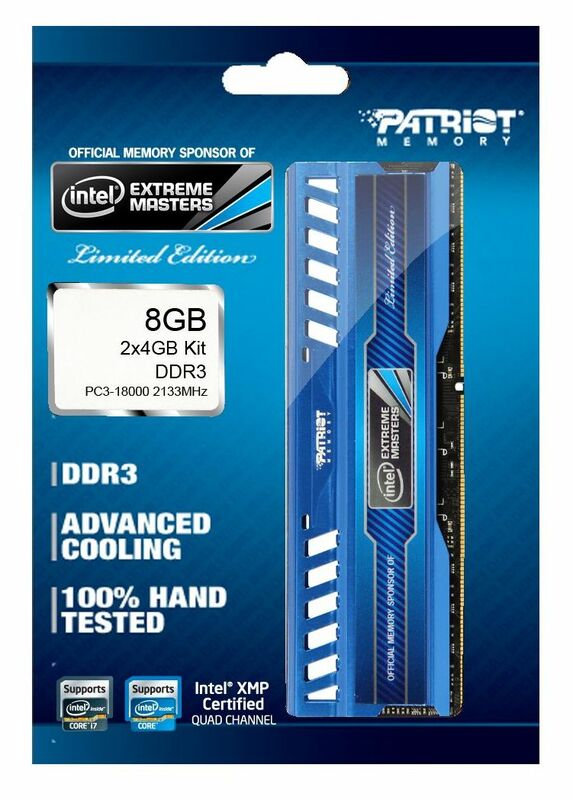 Fremont, California, USA, July 12th, 2012 - Patriot Memory, a global pioneer in high-performance memory, NAND flash, storage and enthusiast computer products today announces the launch of the new Intel® Extreme Masters Limited Edition DDR3 Memory. Built exclusively for gamers, the Intel® Extreme Masters Limited Edition will provide the rock solid performance and stability needed for today’s most extreme gaming systems. 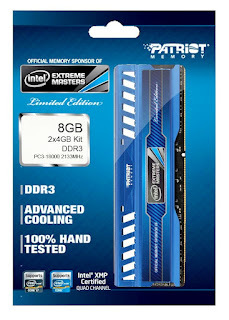 About Patriot Memory Patriot Memory designs, manufactures and markets high performance, enthusiast memory modules, flash products, and computing technologies. Patriot products have become world renown for their extreme performance, reliability and innovation. Patriot Memory sells its products through original equipment manufacturers, retailers, e-tailers and distributors throughout the world with operations in North America, Asia and Europe. Patriot Memory LLC was founded in 1985 and is headquartered in Fremont, California, USA.